He said Amaravati was being constructed in such a manner that people from foreign countries could settle in the new capital. 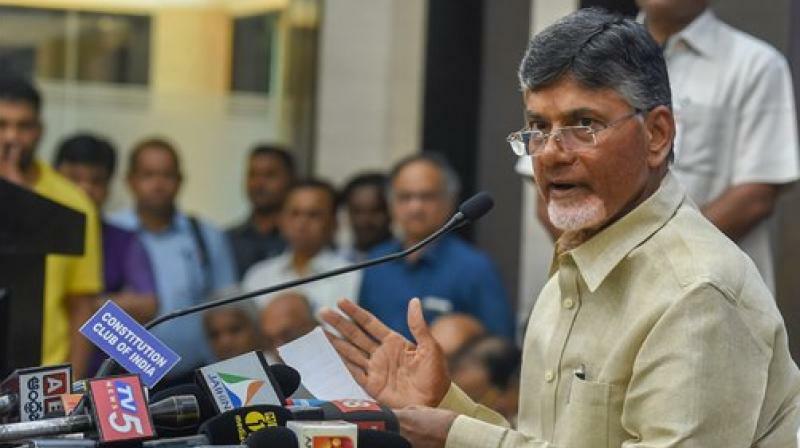 Vijayawada: With the election campaign heating up, Chief minster N. Chandrababu Naidu said that the Telangana state government was unable to use Hyderabad properly due to lack of proper administrative skills. “I put Hyderabad on the global map,” he said after inspecting the construction activity in the new AP capital of Amaravati. He said Amaravati was being constructed in such a manner that people from foreign countries could settle in the new capital. He said he had worked hard to get the first Emirates flight to Hyderabad. “Amaravati will have centralised air conditioning, and nowhere in Amaravati will you find hanging cables and drains,” he said.